Crickhowell High School students raise money for Comic Relief… by voting for their headteacher to be dunked in a bath of beans! 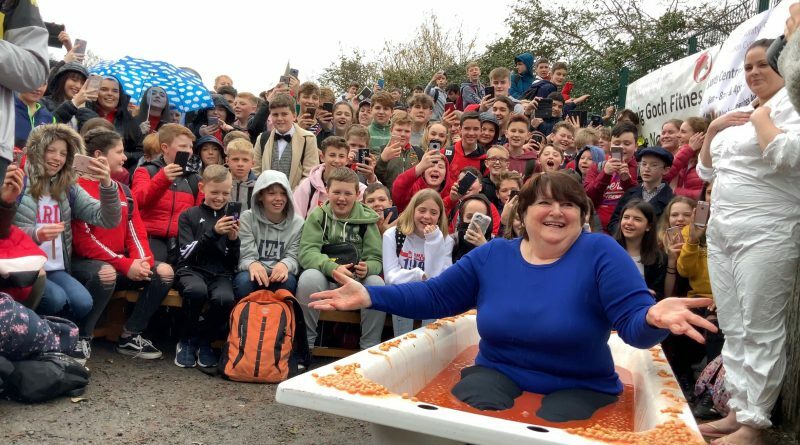 Friday break-time, pupils at the school clustered around, eager to watch their headteacher, Jackie Parker, submerge herself into a bath of baked beans in aid of Comic Relief. Students paid £1 entry to see this once-in-a-lifetime comical sight and had voted throughout the week for their favourite teachers to take the plunge. 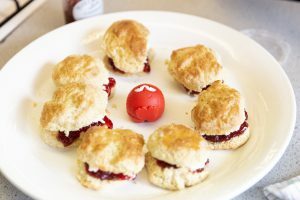 Biology teacher Kelly Holmes also bathed herself in the British breakfast favourite to raise money for this fantastic cause. 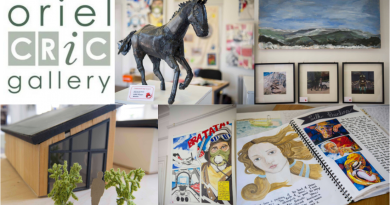 Sixth-form pupils, Scott Goodsell and Noor Akeel, planned a week full of enticing activities raising over £2,900 in total. 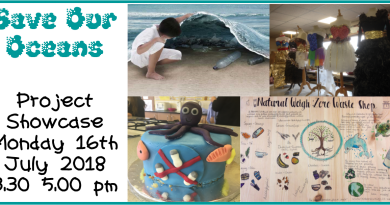 Both staff and students took part in challenges influenced by a range of popular TV shows such as The Great British Bake Off, I’m a Celebrity… Get Me Out Of Here, Carpool Karaoke and Total Wipeout, acquiring a staggering amount of money. The annual Red Nose Day Fun Run also took place, with students dressing up in TV themed fancy dress and battling the Welsh weather to raise sponsor money in aid of causes such as Dementia Outdoors, The Global Fund to Fight Aids and the mental health charity Like Minds. 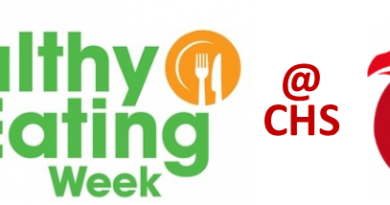 Crickhowell High School are extremely proud of the students, staff, family members and community who have supported the school in this charitable week for Comic Relief 2019.